We have enabled your API access. To avoid getting rate limited again, I would suggest you add a delay between your API calls. Our API service is totally free of cost. 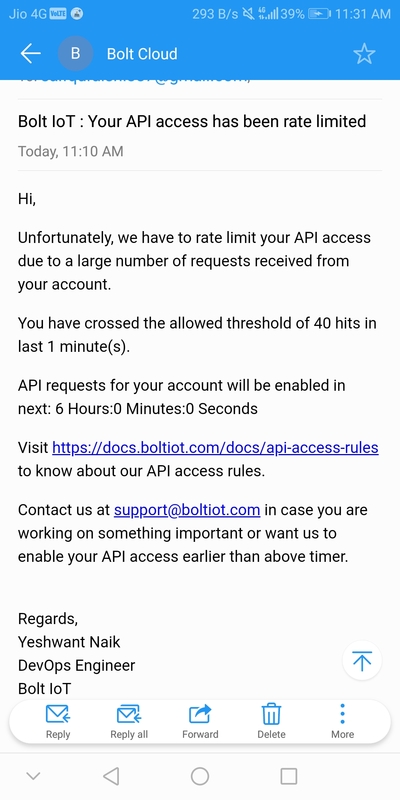 But to make sure every user gets a fair share of usage and to keep our systems working in optimum way possible, we have implemented rate limiting on our API system. 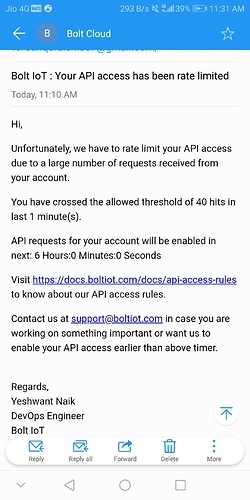 You can visit https://docs.boltiot.com/docs/api-access-rules to know about the same.